Out of hiking destinations across the country, the Columbia River Gorge has been featured as the most "unforgettable place" to hike in the fall. 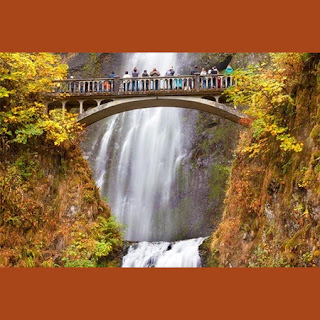 With leaves changing on deciduous trees, waterfalls galore, and some crisp, cool Oregon days still in the forecast, the Gorge is a premier place for you to enjoy during the holidays. The rain season might detract some people from hitting the Pacific Northwest in fall, but that makes it the perfect time to have the place all to yourself. The Columbia River Gorge is like an amusement park of natural wonders. The Columbia River is the second largest river in North America, and the gorge region is its prized possession. It’s an extremely well-kept trail that passes along sheer, moss-covered rock face and literally hundreds of waterfalls. The canyon is 80 miles long, but the highlights are the aptly named Angel’s Rest and Mount Defiance. We’ll let you guess which one is more challenging.